Book Review: Craig Blomberg – Can We Still Believe the Bible? Blomberg, Craig. L. Can We Still Believe the Bible? An Evangelical Engagement with Contemporary Questions. Grand Rapids, Mich.: Brazos, 2014. 287 pages, pb. Blomberg’s Can We Still Believe in Bible? blog tour continues here at Reading Acts with Chapter 3, Can We Trust Any of our Translations? Visit the Can we Still Believe website for the rest of the schedule as well as a chance at a free copy of the book as well as the “grand prize” of five books from Baker Academic. Since I teach undergraduate Greek and Hebrew in a Bible College, I am often asked what the “best Bible translation is.” Unfortunately this is sometimes an attempt to pick a fight, since my questioner has already decided that the KJV is the only Bible inspired by God, or that the TNIV is a liberal attempt to emasculate the church, etc. Everyone who teaches the Bible in Church or a Bible study dreads the phrase “but in my Bible it says….” Everyone has a smart phone has access to dozens of translations at any given time, and sometimes they shuffle through the translations until the find one that says what they want it to say. Why are there so many English Bible translations? The third chapter of Blomberg’s Can We Still Believe the Bible? concerns just that question. Blomberg is well prepared to comment on translation methods. He has served on the Committee for Bible Translation since 2008. This group is responsible for the revisions of the NIV resulting in the NIV 2011. He served on the NLT translation committee for Matthew and he was one of the reviewers for the ESV New Testament as well as a reviewer for the HCSB as well. Blomberg’s main point in this chapter is that all major Bible translations are sufficiently faithful to the original Hebrew or Greek text so that the reader is able to learn the foundational truths of Christianity accurately (85). This true for any translation, including historically important translations like the Vulgate or the KJV or modern translations like the ESV, NLT and NIV. In order to support this contention, he makes six comparisons of an older translation and a newer one for the eleventh verse of the eleventh book (1 Kings, Song of Solomon, Micah, Acts, 2 Timothy and Revelation). This results in three Old and three New Testament examples and a variety of genre (prose, poetry, narrative, prophesy, epistle and apocalyptic). By compared translations, Blomberg concludes that there is little difference in meaning between an older translation and a new one. Even Bibles with distinctly different translation methods are not wildly different. So why are there so many different translations? Blomberg gives two extremes in translation method. First, some translations use a “formal equivalence” method of translation. The goal is to accurately translate the meaning of words into a target language. While this is sometimes described as a “literal” translation, there will always be some freedom for the translator to adapt the biblical language to English grammar and style. As any beginning Hebrew or Greek student knows, word order in the original languages is sometimes radically difference than English. No English translation preserves that word order, nor would it want to! Examples of this method include the KJV or the ASV, although the ESV is Blomberg’s primary example. Second, the other extreme is “dynamic equivalence.” This is an attempt to translate “thought for thought” in order to make the meaning clear in the target language. This type of translation will break long sentences into smaller ones, attempting to make the thought of the original writer clear in the target language. This means that some of the subtle nuances will be lost, but the goal is a readable, aesthetically pleasing translation. Blomberg’s main example is the NLT for this method. A third way seeks to use the best of both of these methods while avoiding their faults. This has come to be known as “optimal equivalence.” All Bible translations fall somewhere between the two extremes, translations that use this method attempt to accurately translate the meaning of the text and preserve the clarity of the original writer’s thought. Both the NIV and the HCSB attempt to take into account the meaning of the text without sacrificing clarity. Blomberg uses James 2:1 as his example verse in his discussion of translation method. In each case, the meaning is clear even if it is expressed slightly differently in each case. He concludes that none of the major translations fail to communicate James’ thought (100). The differences in English translations have no bearing at all on our confidence in the original Greek text. The differences are in method and style chosen by a translation committee. Blomberg himself has served as a translator or reviewer for translations in each of these three categories. One method is therefore not “better” than the other, even if someone prefers the NIV over the ESV or the NLT over the HSCB. But not all translations are accurate. Blomberg includes a short section on “versions to “treat with caution.” He begins with two extremes. First, one ought to use caution when using a Bible translated with a “concordant method.” This is an attempt to create a word-for-word translation with no regard for idioms or syntax. This sometimes means that the same Greek word is always translated the same without regard for context. Second, one ought to be cautious using paraphrases. He mentions The Message in particular since it is the most popular paraphrase available today. A paraphrase attempts to express a given verse in a striking, memorable way in order to give the reader a new way of looking at a familiar text. “Serious study, teaching and preaching must never use (a paraphrase) except by way of illustration” (103). Translations that are produced to support a particular doctrinal bias ought to be avoided. The New World Translation famously mistranslates John 1:1 to support Jehovah’s Witnesses doctrine and the Joseph Smith Translation makes arbitrary additions and modifications to the text. Blomberg includes Gen 9:21-24 as an example. The verses are modified to conform to 1 Nephi 13.26. There is “no shred of historical evidence these portions were ever removed from the Bible” (104). Finally, Blomberg addresses inclusive translation of masculine pronouns when humanity is in view. For American English translations, this has been a contentious issue since the NIV was updated in 2005 (TNIV) or 2011 (NIV 2011). He offers the example of Proverbs 17:15: “He that justifieth the wicked and he who condemns the righteous are both alike an abomination to the Lord” (KJV). Clearly the “he” in this verse refers to any person regardless of gender. The NRSV rendered the verse “One who justifies…” and other modern translations use some other non-gendered pronoun. The 1984 revision of the NIV was nearly the only modern translation that retained the masculine pronouns for clear generic statements. Blomberg offers a short history of that controversy which resulted after a British gender-inclusive NIV was released. A meeting of translators in Colorado Springs resulted in a set of guidelines for preserving masculine pronouns even when the context supported an inclusive pronoun. But when the Committee for Bible Translation began to work on the revisions that would result in the TNIV, they could not work within the guidelines. Instead, the NIV (1984) remained in print and the TNIV was released with a flurry of propaganda for and against the translation. Some scholars responded with scathing condemnations of the translations in journal articles or books, some scholars defended the decisions in other articles and books. The controversy was not limited to pronouns, since the TNIV chose to translate diakonos as “deacon” instead of “servant” in Romans 16:1, even though it referred to a woman, Phoebe. This was seen as letting church practice (ordination of woman) dictate a translation. The NIV 2011 represented the next step in the evolution of the translation. If there was “any hesitation that a given masculine term in a given context might refer to males only, gender exclusive language was reinstated” (111). One complaint against the TNIV was that singular pronouns were changed to plurals, or that third person pronouns were changed to second-person pronouns. When a text read “he” but obviously meant “all humans regardless of gender,” the TNIV translated the singular “he” with the plural demonstrative pronoun, “those” or “you.” These changes were revisited in the NIV 2011 and only about two-thirds of them were retained, many in a “very different and limited way” (113). In fact, the changes that were made attempt to translate the original into a contemporary English style as demonstrated by the Collins Dictionary database. This database tracks English usage shows that what used to be called a “generic masculine” is most often expressed today with a plural pronoun (they) even with a singular antecedent. Yet changes from the TNIV to the NIV 2011 did not stop the Southern Baptist Convention from condemning the translation and producing their own translation (the HCSB). This section could be read as a defense of the NIV 2011 because Blomberg serves on the Committee for Bible Translation. But his goal is not to defend the NIV 2011 (although he does answer some of the false statements made about the translation). Rather, Blomberg wants to show that all modern English translations are in some ways “gender inclusive” and it is inappropriate to force a text that intended to address all people (Prov 17:15, for example) to use a masculine singular pronoun. To do so would in fact distort the meaning of the original text (99). This chapter has two major emphases. First, Blomberg compares Bible translation methods in order to show that there are some translations that are more “formal” or literal, in order to emphasize meaning, and others that are more “dynamic” in order to achieve clarity. All translations fall somewhere along that scale. Second, Blomberg gives insight into the inclusive translation controversy and provides a defense for inclusive translation like the NIV 2011. While this section may reflect some frustration with false information and propaganda, Blomberg offers a reasonable overview of the issues involved. A topic missing from the chapter the reading level of a translation. Some translations use limited vocabulary and shorter sentences in order to render the text more accessible to people with limited reading skills. One thing that is challenging in this chapter is Blomberg’s observation that there are so many Bible choices for English readers. Some languages only have the older translation and a single modern translation. Perhaps the reason for this is that Bibles are money makers for publishers. The motivation for another Bible translation may not be clarity or doctrinal fidelity, but profits for the publisher. Anyone who teaches the Bible in church, college or seminary is often asked what Bible translation is “best.” As Blomberg shows in this chapter, any of the major translations available at Bible bookstores today is accurate and will be sufficient for a Christian for both doctrine and practice. There is no perfect translation, but compared side-by-side, all major translations faithfully render the Hebrew and Greek of the original within the guidelines of that particular translation. NB: Thanks to Baker for kindly providing me with an advanced review copy of this book. This did not influence my thoughts regarding the work. Third John is a letter thanking Gaius for his hospitality in accepting several traveling teachers sent by John to Gaius’ church. 3 John calls these itinerant teachers “strangers” who ought to be given hospitality in “a manner worthy of God.” Like 2 John, this is more of a “note” than a letter, likely filling a single small sheet of papyri (v. 13). It is possible that this letter was delivered by Demetrius as a kind of “letter of introduction” indicating that he in fact has the blessing of John the Elder. One of these teachers was apparently refused by Diotrephes, another believer in the church. Diotrephes’ behavior is condemned by John as being “un-brotherly.” Gaius is praised for his kind treatment of another teacher, Demetrius, who probably was the deliverer of this letter. We have no idea why Diotrephes refused a teacher. Perhaps he examined him and judged him unworthy to teach. It is also possible that shabby treatment of Demetrius is a reflection on John’s authority – Diotrephes disrespects John as the elder / bishop and therefore refused to give hospitality to his representative. Jobes suggests that Diotrephes is “on the side of the antichrists,” although this cannot be proven conclusively (Letters to the Church, 445). This letter gives us an insight into how the small house churches of the first century functioned, and to some extent the problems with a house church. An individual could see the church as very much their own and “run things” far too autocratically. Diotrephes is free to make decisions about who may speak to his congregation, trumping John’s authority in this case. There is no “committee of elders” in the church to discuss and decide the matter. The idea of a “church board” is very much a modern congregational church invention. John the Elder clearly believes has authority over this church and authorized teachers to visit the churches from time to time. He expects his elders to accept the teachers and give them proper hospitality when they visit. Perhaps we can describe him as a “bishop,” but if the tradition of equating John the Disciple / Apostle with John the Elder is correct, this might be an example of apostolic authority. This teaching on hospitality in Third John also is difficult to apply in a modern context. I suppose it might be “applied” by being kind to traveling missionaries when they visit your church, but I think that is a rather limited application. There is a rigorous “testing” of the visiting teacher implied by this letter – how does that work in a modern context? The short letter of Second John is address to the “elect lady and her children.” This is likely a reference to a church. Since the Greek word for church is feminine, calling a church a “chosen lady” is a natural metaphor. Jobes points out that neither “chosen” nor “lady” were used as proper names in the first century, nor are there any personal names in this letter (Letters to the Churches, 441). John refers to the members of a congregation as “children” in 1 John several times, so it seems fairly certain that this address is to a congregation of believers. It may be a generic letter, however, circulated to several churches in a region. 1 John seems to be intended as a circular letter, so it is possible that this short note from “the elder” was passed around to several house churches. Since this letter is written on a single scrap of paper (verse 12), it may have been intended as a personal note from John, carried by a traveling preacher visiting congregations under John’s oversight. Obviously 1 and 2 John are related, but there is no way to know which letter came first or if they were addressed to different congregations. The theological content of the letter is similar to that of 1 John. The writer warns the congregation about “deceivers” who have gone out into the world and deny that Jesus came in the flesh (v. 7). In verse 9 John implies that these deceivers have “gone ahead” rather than remained in the truth as it was first taught. Perhaps some teachers had tried to find a way to explain who Jesus was which “went beyond” what the apostles originally taught. These people were not heretics in the traditional sense, but Christians who were seeking to understand what Jesus claimed about himself. While John calls them deceivers, their deception might have been an on honest attempt to develop theology even if it went a different direction that what John himself was teaching. This is a problem for modern theology. The main issue in Second John is that the false teachers had developed doctrine in a way which was unacceptable. I think they had good intentions – they were genuinely trying to explain a very difficult concept (God became flesh) and they did so in a way which they thought was consistent with their Jewish world view. But from the perspective of John, they have gone too far and need to “remain” in the original teaching he delivered to them. I think that it is necessary to develop doctrine “beyond the Bible,” since the Bible simply does not specifically address every situation which may arise in a modern context. I am frequently asked what the Bible has to say about birth control or in vitro fertilization. Since it is very hard to “quote a verse” as a proof-text either for or against these practices, Christians have to infer ethical practice from the general teaching of the Bible. The difficult part is knowing when we have “run ahead” and developed a doctrine beyond what the intent of the Bible was in the first place. Does a little letter like 2 John provide a model for developing doctrine? Or should we read it as a sober warning about going too far? Starting Monday March 17, various scholars will be commenting on Craig Blomberg’s new book from Brazos, Can We Still Believe the Bible? An Evangelical Engagement with Contemporary Questions. Blomberg offers answers for six common challenges to the Bible in a modern context including the reliability of the original manuscripts, the canon, Bible translations, inerrancy, historical reliability of narrative events, and the problem of miracles. Blomberg is well-known for his contributions to the study of the Gospels and has written numerous books on these sorts of issues. I have had a copy for a couple of weeks and think it will be a valuable resource for pastors and laymen who are looking to answer misinformation that commonly circulates about the trustworthiness of the Bible. One thing that makes this book valuable is that Blomberg wants to answer the critics who make the Bible less reliable by questioning manuscript evidence, canon or translation methods, but also Christians who claim too much about the Bible on these issues. In addition to what might be called apologetic issues, Blomberg includes a chapter on miracles. This is more philosophical since the miraculous is usually ruled out a priori when critics approach the Bible. This chapter also deals with the idea of myth and how that may (or may not) relate to the stories we read in the Bible. Brazos Press has set up a website for the book with and overview of the contents as well as a number of videos from Blomberg talking about some of the issues he covers in the book. The schedule for the Blog Tour includes contributions from Daniel Wallace, Ken Schenck, Joel Watts, Lee Martin McDonald, Darrell Bock, Michael Bird, Nijay Gupta, Matthew Montonini, David Capes, and Craig Keener. I was assigned chapter 3, on the reliability of English translations of the Bible. My comments on the chapter will appear here on Thursday, March 20. As a promotion for the book, Brazos is giving away five copies of the book and a Grand Prize of four books from Baker Academic in addition to a copy of Can We Still Believe? You can enter the giveaway starting March 17, so visit the website and check it out. Logos Bible Software has offered a free book each month for quite some time. Usually these were out-of-copyright classics that were widely available on the internet for free. 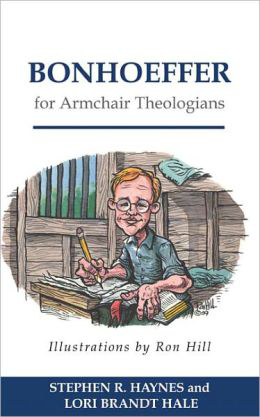 This month, however, they are offering one of the Armchair Theologian series from Westminster John Knox Press: Bonhoeffer for Armchair Theologians by Stephen R. Haynes and Lori Brandt Hale. Haynes is no stranger to Bonhoeffer studies, having written The Bonhoeffer Phenomenon: Portraits of a Protestant Saint and The Bonhoeffer Legacy: Post-Holocaust Perspectives. He is currently Professor of Religious Studies at Rhodes College in Memphis and Theologian-in-Residence at Idlewild Presbyterian Church. Lori Hale is Associate Professor of Religion and Director of General Education at Augsburg College in St. Paul, Minnesota. Her University of Virginia dissertation was entitled “Love Your Enemies? 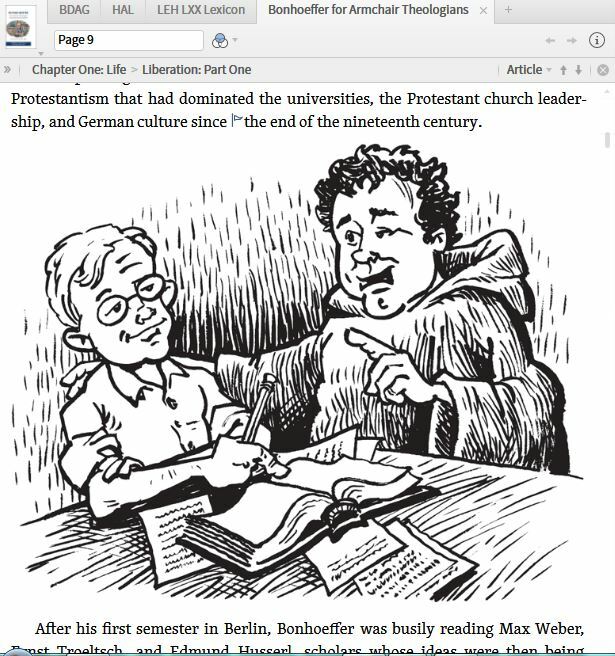 Dietrich Bonhoeffer and the Question of the Other” and she has contributed numerous articles on Bonhoeffer. The Armchair Theologian series is intended to give a brief overview of the ideas and contributions particular theologian. WJKP has thirteen volumes in the Logos Library format, and like other Free Books of the Month Logos is running a contest to win the set. The set includes volumes on Aquinas, Calvin, Augustine, Luther, Wesley, Barth, Jonathan Edwards, Martin Luther King Jr., Bonhoeffer, John Knox as well as three movements The Reformation, Heretics, Liberation Theology. (It does not appear that the latest int he series on the The Niebuhr Brothers is in the Logos format yet). These little books are quick and easy overviews that will help you understand the basics before wading into more detailed analysis. There are a number of illustrations by Ron Hill that add to the experience of reading these books. As always, all of the features of the Logos Library are available for reading this book, including real page numbers, highlighting, and the added benefit reading on both the desktop and iOS versions of Logos. So head on over to Logos Bible Software, get the free Logos book, and enter to win the whole collection. Tony Burke’s Secret Scriptures Revealed is one of the few books to introduce the Christian Apocrypha to the general reader without engaging in sensational claims or overly emphasizing Gnosticism suppressed competitor to early Christianity. Burke has been blogging on the Christian Apocrypha at Apocryphicity since 2006. His site has a wealth of information on this literature, but this short introduction provides the background the average needs to read this diverse literature properly. The Christian Apocrypha is not really a collection in the same sense that the Old Testament Apocrypha is. There is no set “canon” for the Christian Apocrypha. Even the titles of these books are not official, since anything concerning Jesus is a “gospel” and the most prominent apostle gets his name attached. Books like Gospel of Thomas or the Gospel of Philip are not gospels in the same sense that Matthew is a gospel, nor is there a claim to have been written by Thomas or Philip. Burke includes some documents that seem to come from more orthodox Christian writers as well as documents from Gnostic writers that are clearly heterodox. Since most non-scholars only have only heard about this literature through highly sensationalized media reports on The Da Vinci Code or the Gospel of Judas, many have the impression that this literature was actively suppressed by the church. In some cases that was true, but all of these books were preserved and copied by Christians for centuries. Some of the books were known only by name until several significant discoveries in the twentieth century. A full copy of the Gospel of Thomas, for example, was discovered in Egypt in 1945. Perhaps it is better to describe some of these books as “not very popular” rather than “suppressed” or “secret.” Many of the texts Burke discusses were found in Oxyrhynchus, Egypt. Some have only recently been published. A “Christian Apocrypha” would include texts that are not only post-apostolic (although Burke suggestions some of the books may originate in the late first century), but also outside of what is usually described as the “church fathers.” The Apostolic Fathers is a fairly set collection, although that collection seems more dependent on the Loeb Library volumes. The oft-reprinted ante-Nicene, Nicene and post-Nicene collections edited by Philip Schaff represent more or less orthodox theology and traditions. The books Burke is describing are not going to be found in the Ancient Christian Commentary on Scripture published by InterVarsity Press! After two chapters explaining issues of canon and the origin of the books usually included the Christian Apocrypha collections, Burke examines apocryphal gospels. Chapter three concerns various lives of Jesus. This chapter covers infancy gospels—books that claim to tell the story of Jesus’ birth and childhood. Under “Ministry Gospels” he covers the agrapha, approximately two-hundred sayings of Jesus that do not appear in the canonical Gospels. There are also a number of fragmentary gospels were discovered at Oxyrhynchus. Burke briefly discusses the controversial Secret Gospel of Mark, leaving the question of authenticity open. Chapter four examines passion and resurrection gospels. 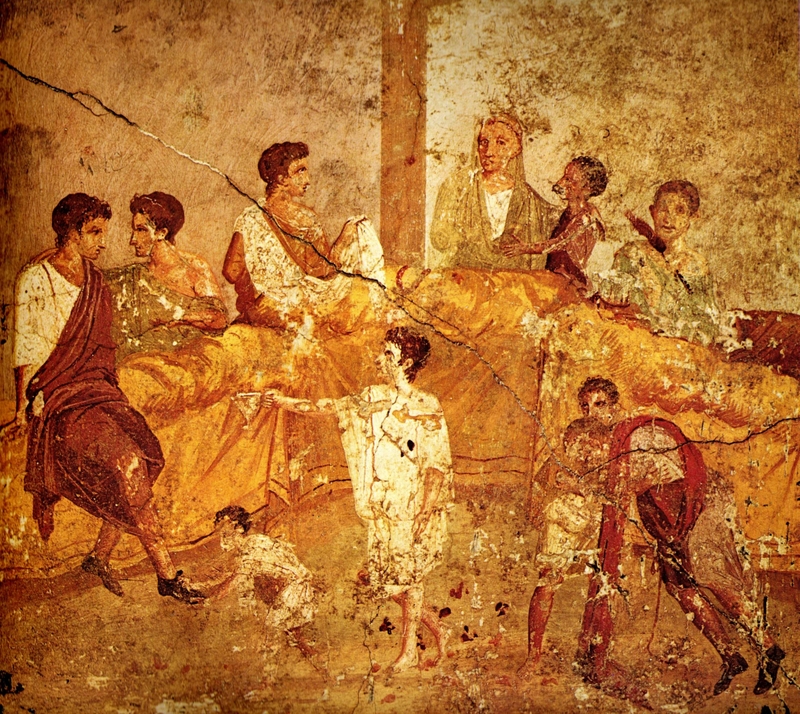 Here Burke briefly discusses the Gospel of Judas and the Pilate Cycle as well as a series of smaller fragments describing Jesus’ descent into Hell. The latter was highly influential in the development of the church teaching on the “harrowing of hell.” Chapter five surveys the many apocryphal books that develop legends about the early church. The Acts of John, Acts of Peter and Acts of Paul are the most important books Burke surveys, but he also includes a number of other stories about Mary, Joseph, John the Baptist, and Mary Magdalene. Stories about Mary obviously were important to developing devotion to Mary in the medieval period. In a final full chapter Burke attempts to dispel misconceptions about this apocryphal material. Some of these are directed at popular scholars like Bart Ehrman or Elaine Pagels who make too much of this material. This material was not violently suppressed by the (male) establishment. These books were not forgeries written to undermine the true gospels. In fact, not all of this material can be described as Gnostic or heretical. Burke is clear that the Christian Apocrypha (as he describes it) is not as dangerous as the apologists claim, nor is it forbidden source for the real, original teaching of the church that Dan Brown makes it out to be. Burke does not include lengthy readings from the books he discusses. This appears to be a decision to make the book more readable to a broad audience. He occasionally quotes a few lines to illustrate a point, but for the most part he simply summarizes the original text. On the one hand this streamlines the book and makes it an easier read for the popular audience. But there are several times I would have liked more primary material embedded in the book itself. The readier can look the texts up in various collections if they are interested. One feature that the non-professional will appreciate about the book is that Burke does not use footnotes. At the end of each section of a chapter is a box of “further reading” on topics covered in the section. There is a four page “for further study” appendix and a five pages bibliography provides the interested reader with full details for these more technical works. While I personally prefer full footnotes, these quasi-endnotes make the book much easier to read. In conclusion, I would highly recommend this book to people wanting to know more about non-canonical Christian texts. Burke’s introduction is accessible to laymen and accurate in its presentation of the facts. I am very pleased that the book does not engage in sensationalism (aside from the title) in order to attract attention.